Earn a $25 Amazon gift card for telling your ACFT Story and helping other soldiers excel on the test. If you have already taken the New Army Combat Fitness test we would love to hear about your training and test experience I have just started giving out Amazon gift cards to the first 5 people that are willing to help other soldiers and tell your ACFT Story. If you are interested in the free gift card and also helping other soldiers on their ACFT journey contact us here for further details. Finally, If you have not been to the Official Army’s ACFT Page it is worth a visit and has the most current training plans available. 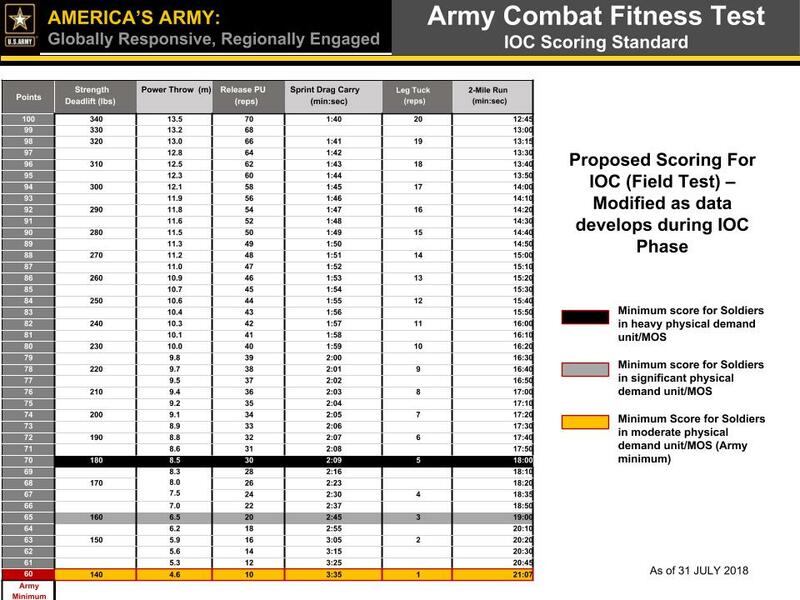 December 2, 2018 ArmyTrainer Comments Off on What was your experience with the New Army Combat Fitness Test?